the heart of Cape Town. Open weekdays from 7am - 7pm. I’ve heard people say better late than never (and that never late is better). If you’re rushing to squeeze into your favourite swimsuit or pour into a pair of pants from last summer, the ElectroFitness training programme is the perfect fit for you. Candace Kentridge-Britton and her husband Damien Britton are offering gym bunnies, health geeks, yogis and those looking to get into shape the chance to try out. 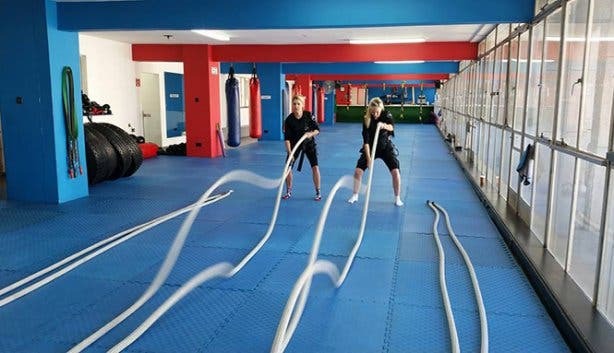 ElectroFitness is the fitness fad taking the city by storm. Every Thursday you and five of your besties can train for a full session for a fraction of the cost. 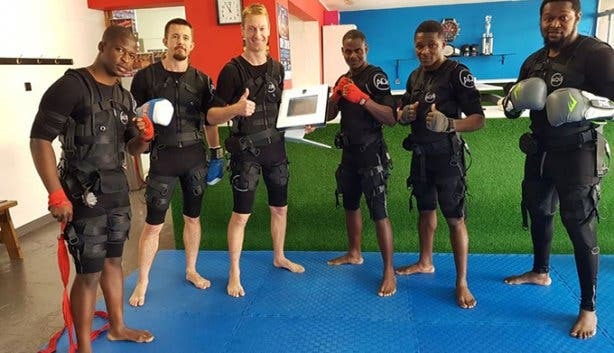 Cutting their standard R250/p price to R99/p for the first 12 clients to book a session this week, you can work your body harder than you ever have before, and burn up to 3000 calories in 20 minutes, with this revolutionary Electro Muscle Stimulation (EMS) device. Ditch the two-hour gym session for compact circuit training with these two trained professionals. 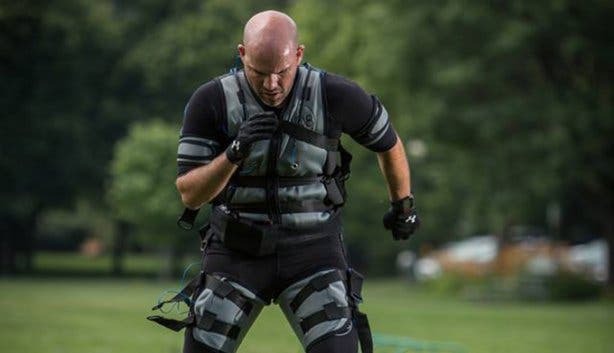 Strap into a durable suit, fitted with 18 carbon rubber electrode pads, and receive, via radio frequency, low-to-medium pulses of electric currents, emitted to produce muscle contractions throughout your entire body, as you train. The flexible, durable suits have a 5km range so you can go on a run, hike up a mountain, or do the downward-facing dog with ease and full mobility. 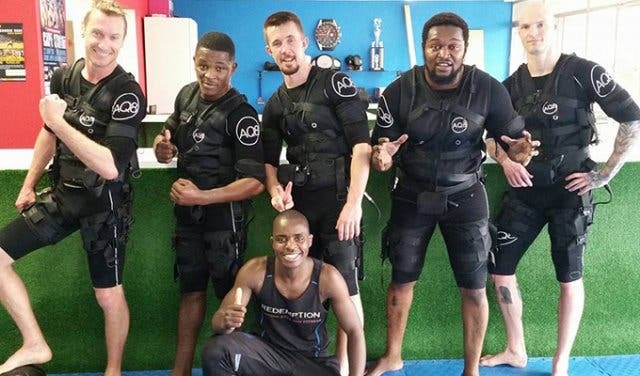 “We always ask our clients what their fitness and body goals are, and we’re happy to tailor-make a training programme to suit their desires, limitations and even injuries,” Damien says. “Not only is the ElectroFitness system effective in fitness and body shaping, but if you have an injury or need any sort of physiotherapy, the training can help rehabilitate your injuries and even strengthen those muscles again,” he adds.“We’ll pick one of the eight preset programmes (cardio, fitness, metabolic, rehabilitation, cellulitis, core, vascular and force) then just adjust the resistance level and isolate specific areas you want to focus on, if that’s what a client wants,” Damien explains. Some of you might be sceptical about how effective a 20-minute session can really be. Well, Candace and Damien are happy to ally your skepticism. You’ll be huffing and puffing less than five minutes in because the programme is designed to challenge you. “It’s not about how strong or fit you are,” Candace says, “big, strong fighters will come in here and struggle just as much as beginners do,” she shares. Don’t plan any strenuous activities for the next day (possibly the day after that too) as you’ll definitely be feeling a little worse for wear. In a couple of weeks, however, you’ll notice the difference in your weight, posture, fitness level and recovery time. 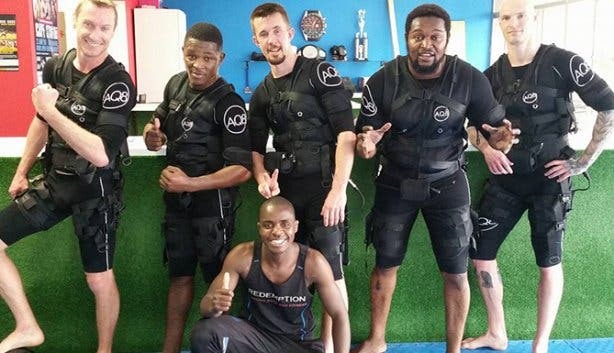 Pay R1 650 per month for two people to train together once per week. If you sign up for the special before the 15 April 2018, receive 50% off your cotton training clothes. 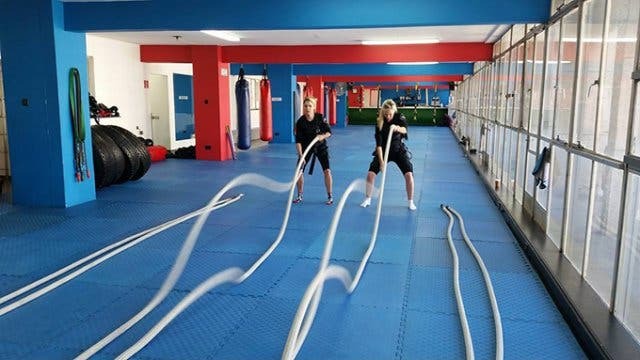 Note: ElectroFitness offers beginners a starter special and are more than happy to explain the system to personal trainers and gym owners who might be keen to integrate it into their training programmes and workout regimes.